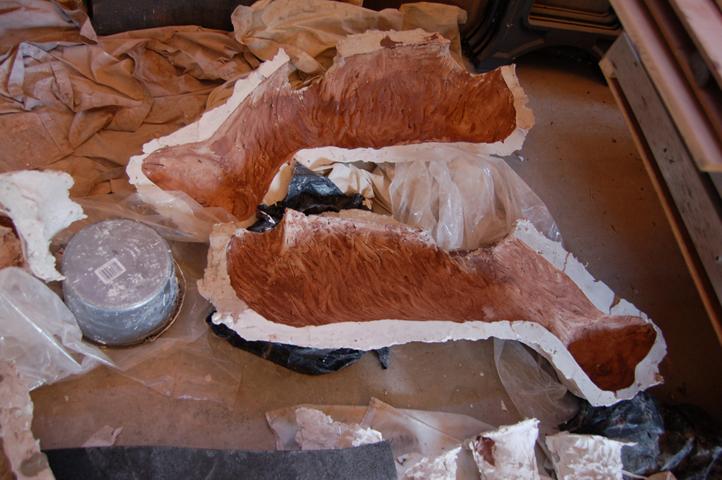 We begin by casting the clay animal in plaster, and pulling off the mold pieces . . .
mold pieces for the Jeb the goat . . .